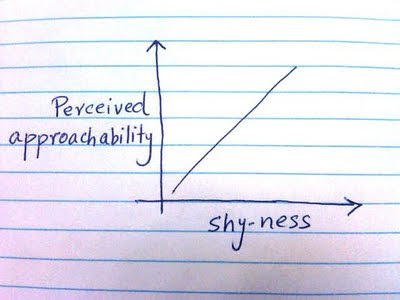 lets graph:: shyness - a social strength ! 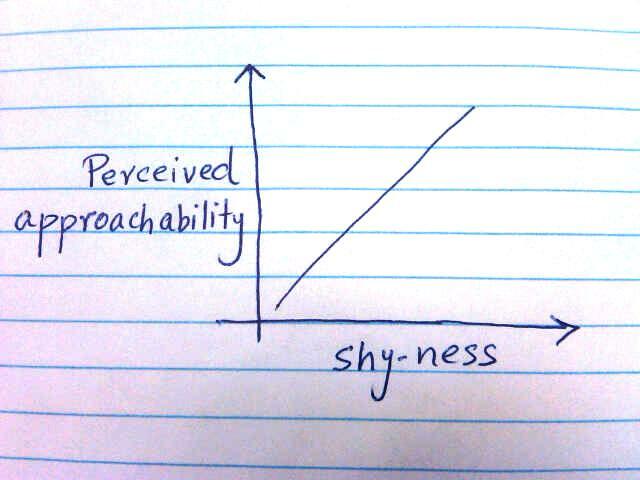 shyness - a social strength ! Love the shyness! My father-in-law passed this wisdom down to my husband, and your graph clearly depicts his views. The more approachable you seem, the less interested people are in you. The less approachable, well, I guess that's how I got a stalker in the first place. Women have been hearing this from mothers throughout the ages! Good idea on t-shirts!